This happens every year. You think you're going to get a bunch of shopping done on Black Friday and over the weekend, but the relaxing days off pass so quickly and then those sales are over. 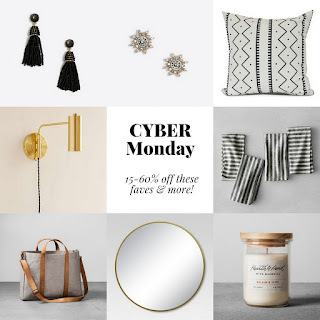 Thankfully our consumerist culture (love/hate) has created Cyber Monday and we all have ONE more chance to be “first-minute” shoppers and get great goodies for gifts, home, and maybe ourselves at some of the best deals of the year. But it’s Monday, so who has time?? 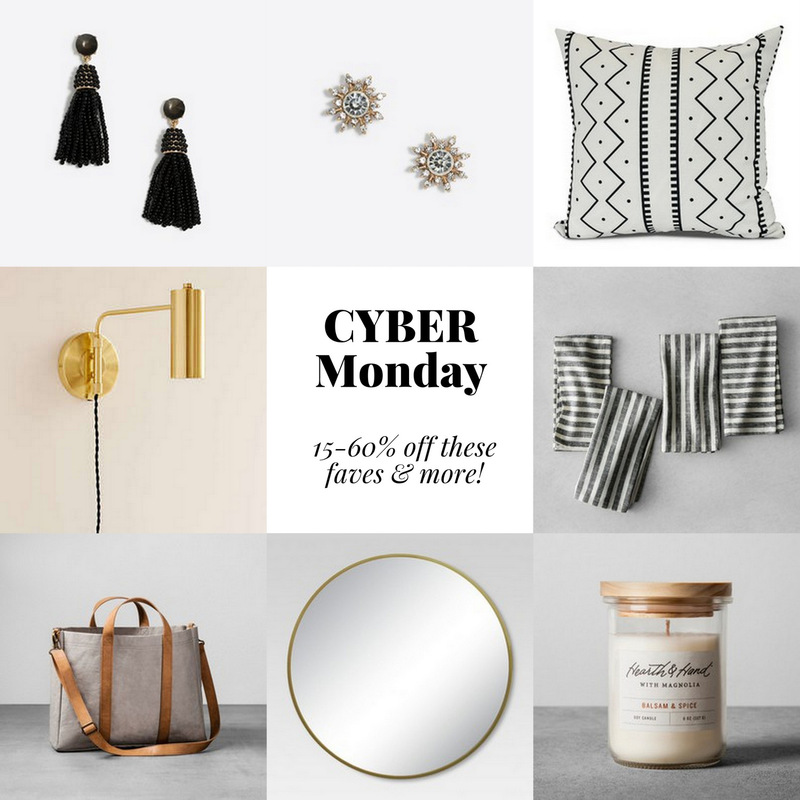 I’ve rounded up my favorite SIX sales this year—at places you probably already shop, and places with great gift ideas—for easy scrolling below. Can you guess what my favorite is??!? Some are good through Tuesday! Extra 15% off almost everything!! UPDATE! Tuesday 11/28: 40% off bed and bath at TARGET! So here is just a little selection of faves, all 15-60% off!! !